The United States continues to face national security risks from natural, accidental , and intentional health threats. Efforts to improve chemical, biological, radiological and nuclear threats (CBRN) and emerging infectious diseases (EID) preparedness are led by a variety of federal agencies referred to as the Public Health Emergency Medical Countermeasures Enterprise (PHEMCE). This group was created in July 2006, and they are tasked with “coordinating the development, acquisition, stockpiling, and use of medical products” which will be used in response to these threats. The Assistant Secretary of Preparedness and Response (ASPR) oversees PHEMCE efforts, and they work in close collaboration with other federal agencies to develop a comprehensive plan. An updated Strategic Implementation Plan was recently released. This document outlines progress since 2014-2015 and provides an update on priorities over the next five years. 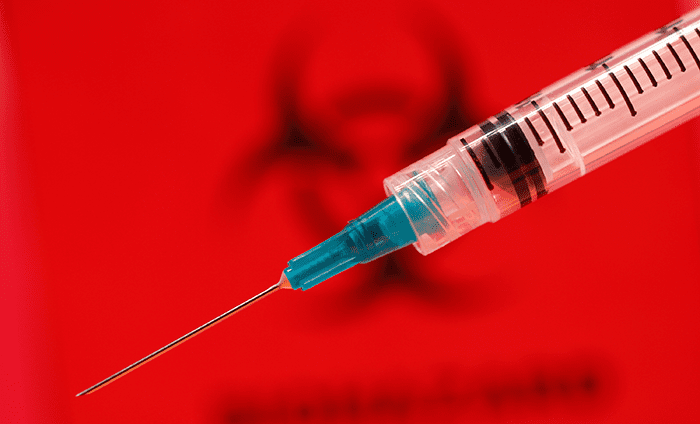 Identify, create, develop, manufacture, and procure critical medical countermeasures. Establish and communicate clear regulatory pathways to facilitate medical countermeasure development and use. ASPR simplified the MCM requirements process to facilitate decision-making and prioritization for MCM research, development, acquisition, and utilization. ASPR uses integrated program teams (IPT) and an economic framework to complete their assessments. The Biomedical Advanced Development and Research Authority (BARDA) is supporting a pipeline of approximately 65 candidate products under Advanced Research and Development. A variety of products that help patients after exposure to nerve agents. FDA has been a consistent leader in MCM stakeholder engagement and has held a multitude of workshops to improve understanding and awareness of MCM regulatory guidance. FDA developed public health and security action teams to address regulatory challenges that may arise during MCM development. FDA issued shelf life extensions to 2000 lots of medical countermeasure products to improve access. FDA issued nine Emergency Use Authorizations for diagnostic tests for Ebola, just in FY 2015. Antibiotic resistance is a serious public health threat. BARDA used Other Transactional Authority (OTA) to advance development of novel antimicrobial drugs via partnerships with large pharmaceutical manufacturers. OTA is a flexible contracting mechanism that allows BARDA and the developer to work on a portfolio of products without the complexity of standard Federal Acquisition Rules. These products may have both commercial and biothreat protective applications. NIAID is also working on multiple therapeutics against drug resistant bacteria. In 2015, NIAID made 14 awards for the discovery and early stage development of new antibacterial products. NIH is researching the use of adjuvants to improve vaccine efficacy (fewer doses/lower cost) and issues related to temperature stabilization to reduce cold chain storage requirements. They also awarded new contracts for antibacterial and antiviral therapeutics including products against Ebola, Marburg, and influenza. PHEMCE has established EID work groups which will implement a risk assessment framework to determine the extent to which EIDs present a high priority, public health threat and should be incorporated into PHEMCE efforts. Response to Ebola, Zika, and MERS-CoV demonstrate the extent to which these issues have been an area of focus for PHEMCE partners. PHEMCE partners supported a robust Ebola response. BARDA, NIH, FDA, and DoD supported the development efforts for multiple potential Ebola MCMs including the therapeutic candidates and multiple vaccine candidates. A NIAID funded facility sequenced over 580 genomes that provided important insight around the evolution of the Ebola virus outbreak strain. CDC and partners vaccinated over 8000 health care workers and others as part of a campaign in Sierra Leone. CDC also worked to develop a real-time diagnostic. NIAID vaccinated 1500 volunteers in Liberia (PREVAIL). 94% of the 500 people immunized with the Merck product had measurable antibodies. Widespread monitoring of travelers returning from West Africa was also implemented. This is just a small sampling of the efforts, but virtually every PHEMCE partner was heavily engaged in responding to the Ebola outbreak. Similarly, PHEMCE partners were engaged across the spectrum on Zika response. They enabled the development of rapid diagnostics and advanced new MCM treatment options. A number of vaccine candidates are in development. In April 2016, CDC hosted a Zika Action Plan Summit to share best practices and communication strategies with state and local leaders. Registries were created to help understand the possible outcomes. While PHEMCE partners have made critical progress in advancing access to medical countermeasures, there are areas of improvement for the future. Many partners are missing from the formal PHEMCE enterprise planning efforts. This includes pharmaceutical manufacturers, supply chain experts, IT vendors, civilian coalitions, and non-governmental organizations (NGOs). These partners have important subject matter expertise to share, but there is no formal mechanism for their involvement. A stakeholder workshop, or webinar held once, or twice a year is insufficient. The PHEMCE plan indicates that “ASPR will create mechanisms to increase non-federal stakeholders’ input during the requirement-setting process and increase visibility on the relevant outputs.” One means to do that would be to follow the example set by the Advisory Committee on Immunization Practice (ACIP) which maintains non-voting, rotating committee roles to increase (vaccine) stakeholder engagement. A similar process could be incorporated into the PHEMCE governance structure. “Promoting effective partnerships” isn’t just about providing “access to manufacturing services.” Partnership is about transparent communication and better visibility to key needs and future priorities. Non federal stakeholders want to see clear, accountable leadership of the PHEMCE enterprise, consistent funding, and a formal mechanism for their participation. While biotechnology is increasing at an exponential rate, and the opportunity for misuse (bioterrorism) is increasing, the number of companies interested in making significant investment in medical countermeasures development is decreasing. There are important MCM innovation gaps that need to be addressed. MCMs have an exceptionally limited market, and the government purchasers exert monopsony purchase power meaning that they can drive aggressive price discounts. While this is attractive to taxpayers, it is not attractive to investors. It is much more commercially attractive to develop a traditional pharmaceutical product that can be given repeatedly and offers a recurring revenue stream. Donating MCMs in the United States stockpile to other countries (30 times) further reduces the size of the available market. These are admirable efforts from a public health and diplomatic perspective, but they have the unintended consequence of making the MCM “market” substantively more unattractive. Over reliance on a few companies to develop MCMs against Category A agents presents a national security risk and requires more attention. Additional work groups should be formed as part of the PHEMCE SIP to explore mechanisms to ensure a sustainable MCM enterprise. These work groups should include industry representatives, so that diverse perspectives are considered. A “one size fits all” incentive approach will not work, and there are important limitations to existing options. As one example, BARDA has promoted their use of OTA as a flexible, collaborative way to facilitate antibiotic development. While BARDA should be commended for their efforts to use creative approaches to attract industry, BARDA also should remain attuned to the potential for abuse. OTAs are generally not subject to government cost accounting principles, federal acquisition rules, the Contracts Disputes Act, Truth in Negotiations Act, or Competition in Contracting Act.,  , OTA agreements are creative and flexible, but they increase the risk of abuse to the federal government. BARDA may want to consider additional criteria when evaluating companies for OTA awards. This could include requirements that companies be in good standing with the U.S. government. This might help to mitigate risk. More research is needed to evaluate the risk of unintended consequences that arise from different incentive plans. PHEMCE activity encompasses a wide range of federal agencies. Together, these agencies have taken important strides to safeguard the lives of Americans and people around the world, via improved access to medical countermeasures and diagnostic tools. It serves as an example to other countries regarding what can be accomplished through interagency collaboration and planning. However, the PHEMCE effort still requires strong, centralized leadership and a comprehensive strategic plan with measurable outcomes against which progress can be reported. It’s impressive that so many groups are working on these challenges, but who is determining the overall strategic plan? How does it come together? Which single individual has responsibility for the entire biodefense strategic effort? Who is managing the enterprise U.S. biodefense budget? No one. No one has clear accountability for the U.S. biodefense strategy, and this puts our country at risk. Rebecca Fish is Vice President of Marketing at Emergent BioSolutions and the former Global Head of Medical Countermeasures at GSK. She is currently a PhD student in Biodefense at George Mason University. “2016-Phemce-Sip.pdf.” Accessed February 11, 2017. https://www.phe.gov/Preparedness/mcm/phemce/Documents/2016-phemce-sip.pdf. “GSK Awarded $200m by US Government for Antibiotic Research.” Text, May 23, 2013. http://www.pmlive.com/pharma_news/gsk_awarded_$200m_by_us_government_for_antibiotic_research_478480. “Blue Ribbon Study Panel on Biodefense.” Accessed February 11, 2017. http://www.biodefensestudy.org/. Other Transactional Authority “130529-Transactional-Authority.pdf.” Accessed September 24, 2016. https://media2.mofo.com/documents/130529-transactional-authority.pdf. Department of Homeland Security Management Directive (Other Transactional Authority) Issued June 8, 2005. “mgmt_directive_0771_1_other_transaction_authority.pdf.” Accessed February 19, 2017. https://www.dhs.gov/sites/default/files/publications/mgmt_directive_0771_1_other_transaction_authority.pdf.